Happy Friday! 🎣 Note from Mike: After 480 straight Axios AMs, I’m off the grid in Maine, catching fish and clearing my mind. Top journalists have generously agreed to carry the torch, starting with Jonathan Karl, ABC News chief White House correspondent..
Last June, President Trump told me he was “100 percent” willing to answer questions — under oath — from Robert Mueller. Over the tumultuous months that followed, two things have remained consistent: 1) Virtually every lawyer friendly to the president has urged him to avoid an interview; and, 2) The president has said he is willing, even eager, to sit down with the special counsel. Now it’s the Rudy Show. The President is gearing up not to talk to Robert Mueller, but to fight him. What he’s not saying: If the president is amped up to fight an effort by Mueller to force him to testify, he can’t exactly be driving his lawyers crazy anymore by talking about voluntarily testifying. The big picture: The president and the special counsel are engaged in a game of chicken — both sides threatening steps neither wants, because they could trigger a crisis with dangerous and unpredictable consequences. Trump, for all his Twitter threats about using “the powers granted to the presidency,” knows firing Mueller would have dire political consequences. And Mueller, despite the threat to compel the president to testify, doesn't want to subpoena the president because the ensuing legal battle, which he could lose, would last a minimum of six months and possibly a year. That would give the president’s allies time to wage a campaign to undermine public support for the investigation. What to watch: The negotiations over a Trump/Mueller interview continue. Despite Rudy’s 50/50 odds, the Trump legal team thinks Mueller won’t pull the trigger on a subpoena, and will ultimately be forced to accept written answers from the president. LBJ withheld the title of chief of staff from his top aides, and President Trump is now living out that fantasy even with John Kelly in the building. As part of his exasperation with being handled, Trump has taken to telling friends that — like Lyndon Johnson — he doesn't even need a chief. And now, with Trump and his new TV lawyer Rudy Giuliani conducting their own media-legal operation with little to no White House oversight, it’s becoming a reality. Jonathan Swan reports that Steve Bannon — who has zero contact with Trump these days and is loathed by many in the building — has told associates that Trump never had any respect for the chief of staff position and from the outset saw it as a lowly, administrative post. It needed to be explained to Trump that this was one of the most powerful roles in the U.S. government. Trump has never fully grasped the concept. Sources close to Trump repeat the cliché that he wants to run the White House like the Trump Organization — an unstructured family business where he woke most days unsure of what lay ahead, and ran his business like a series of jazz improv sets. Back then, he spent his days on the phone, taking calls, receiving ideas, making decisions on pure gut instinct with a disdain for sophisticated data or prescriptions from consultants. The Trump 'n' Rudy show of the past few days has operated entirely independently of the White House communications department. Giuliani and Trump are playing a different game, and the staff inside the building only learn about the plays by watching them on TV. The reality is that nobody can and nobody ever will. Whoever replaces Kelly — if, indeed, anybody does — will have to accept that there’s no such thing as a chief of staff in Trump’s White House. As President Xi Jinping takes Chinese influence to every corner of the world, there remain corners of his own country that his government struggles to control, Axios' Erica Pandey writes. The big picture: The Chinese Communist Party has no tolerance for dissent from its ethnic minorities, and fears it could be damaged if word of human rights violations against them spreads outside China’s borders. The intrigue: Some U.S. lawmakers, including Republican Sen. Marco Rubio, are pushing the Trump administration to take a harder line on human rights violations. "We should not be quiet on this in exchange for a better trade deal, and we should not be quiet on this in exchange for their cooperation on North Korea." 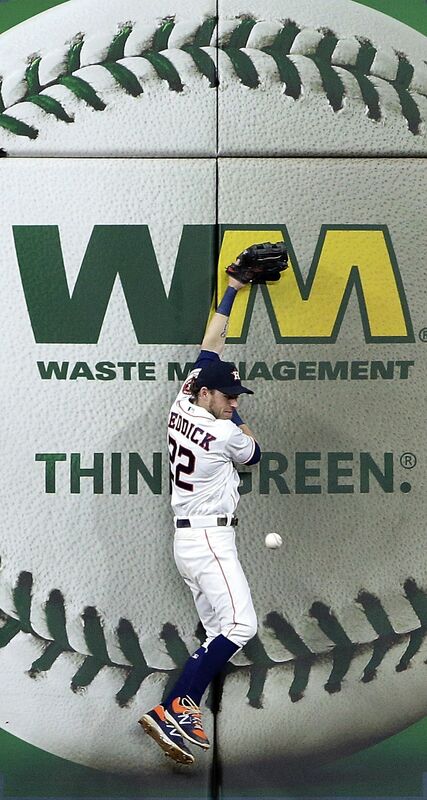 Houston Astros left fielder Josh Reddick loses the ball as he hits the wall on a single by the Yankees' Neil Walker in Houston yesterday. Yanks won, 6-5. "[J]ust one of those efforts [a school safety bill in Florida] has succeeded, and there are few indications the others will be enacted." "More than half of the combined net-income growth reported by 200 large public companies for the first quarter stemmed from a decline in the companies’ effective tax rates." Why it matters: "The tax savings are helping to drive profits to new highs among companies in the S&P 500 index." Tchen, former chief of staff to First Lady Michelle Obama, "pitched the National Women’s Law Center on the idea of administering a pool of money to help victims defray legal expenses. And that was that: The Time’s Up Legal Defense Fund ... was born." Why it matters: "With 600 lawyers signed up and $21.7 million raised, the TULDF has more than 2,000 potential clients so far seeking legal counsel and representation as well as PR advice." Go deeper ... 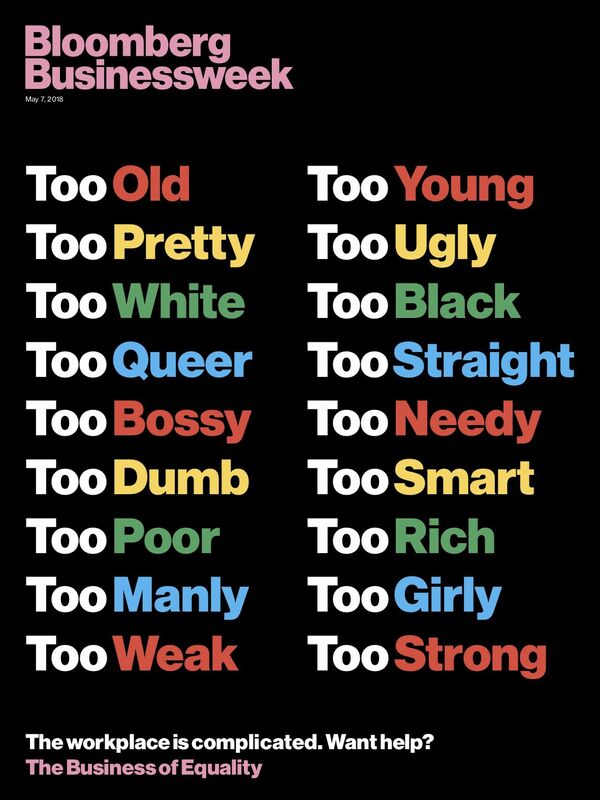 The new issue of Bloomberg Businessweek includes "how-tos" for navigating the workplace: file a complaint with the EEOC ... get paid what you deserve ... confront a colleague who offended you ... break an NDA. "Across the country, states slashed prison spending by more than $200 million between 2010 and 2015. Meanwhile, violence appears to be on the rise, according to a USA TODAY review of public records, lawsuits, academic studies and news reports." "Slayings reported inside prisons almost doubled over a decade, from about four homicides per 100,000 to about seven in 2014." Why it matters: "[S]tate records and news media accounts show there were at least nine prison riots nationwide in 2017 — matching levels last seen in the 1980s." The background: "In the cold war a generation of statesmen, chastened by conflict and the near-catastrophe of the Cuban missile crisis, used arms control to lessen the risk of annihilation." 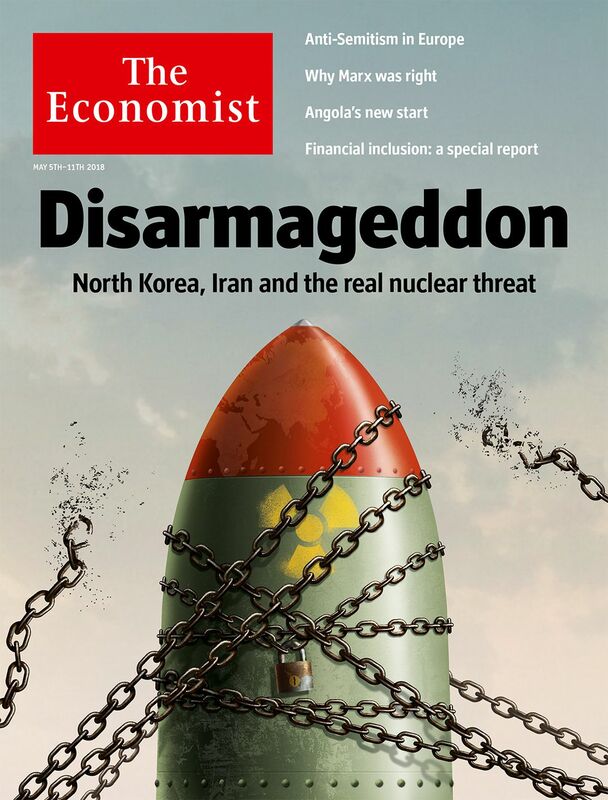 What's new: "Their successors, susceptible to hubris and faced with new tensions and new technology, are increasing the chances that nuclear weapons will spread and that someone, somewhere will miscalculate." Why it matters: "A complacent world is playing with Armageddon." A decrease in the global supply of oil, led by ongoing cuts by OPEC, is driving up global oil prices. Environmental regulations require refineries to switch to a cleaner, more expensive type of gasoline every summer compared to winter. Increased demand overall for gasoline and oil, driven by an improving global economy. "The airport deployed the R2-D2-esque Knightscope K5 three months ago to roll around outside Terminal B, recording everything with its four cameras, microphones and sensors." "Human guards at the airport say it’s supposed to thwart the scammers and illegal cabdrivers who plague the parking lot." But a high-level security specialist at the airport said: 'They just laugh at it. They walk around the bot."